It may still be tricky to get hold of a Raspberry Pi computer, but when you finally do there is now a recommended operating system to pack onto an SD card and make it work. Debian – a free Linux and GNU based OS – has been the most used offering to date, but the arrival of the brilliantly-named Raspbian distribution is now being touted. 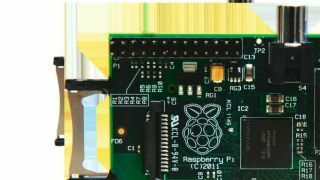 "We are pleased to announce the release of our first SD card image based on the Raspbian distribution," explains the Raspberry Pi blog. "This is the result of an enormous amount of hard work by Alex and Dom over the past couple of months, and replaces the existing Debian squeeze image as our recommended install." The new OS allows better use of the Raspberry Pi's hardware and should allow faster web browsing. "Users who are still using Debian squeeze will definitely want to switch to this, as it contains numerous tweaks and performance improvements to the firmware, kernel and applications, adds the blog. "Those who are using the recent Debian wheezy beta will also see a very worthwhile, but somewhat smaller, improvement." The Raspbian distribution is available from the Raspberry Pi downloads page.